Suzanne Elledge Planning & Permitting Services, Inc.About Us - Suzanne Elledge Planning & Permitting Services, Inc. Since 1994, Suzanne Elledge Planning & Permitting Services, Inc. has been widely recognized for taking a creative and respectful approach to guiding projects through the public review and entitlement process. We have extensive experience representing a diverse range of residential, institutional, and commercial projects and we have earned a reputation for successfully integrating our clients’ objectives with community planning policies. We have an excellent working relationship with an extensive network of professionals in the fields of engineering, surveying, architecture, landscape architecture, and environmental consultation. “A History of Excellence That Matches the Community We Serve.” At SEPPS, we believe that when it comes to providing planning and land use services for a region as rich in history, natural beauty, and cultural heritage as the South Coast, you need more than skills, experience, and patience. You need a creative, respectful approach to the process that drives results for clients while ensuring every project makes a positive contribution to the community. Since 1994, Suzanne Elledge Planning & Permitting Services, Inc. (SEPPS) has been providing high-quality professional planning, land use consultation, and permit processing services for a wide variety of private and public sector clients. With a deep and abiding respect for community planning principles and sensitivity to resource protection, SEPPS has successfully represented and guided more than one thousand local projects through the permit process. The firm’s diverse project list includes a wide range of large institutional and residential developments, non-profit community endeavors, and small-scale, family-focused projects. Suzanne Elledge, founder and company president, launched her firm after many years working as a land use planner and public agency coordinator for a local civil engineering company. In its early days, SEPPS operated from a one-room office on the second floor of the Fithian Building on Lower State Street. SEPPS’ first big contract came about eighteen months after the firm was founded, when the Rancho San Marcos Golf Course contracted with Elledge to manage compliance with more than two hundred County conditions of approval. The initial contract grew into other project responsibilities for the golf course and helped establish SEPPS’ reputation for handling complex projects efficiently and expediently. In 1997, the company added administrative staff and a new planner, Laurel Fisher Perez, who became a co-owner and principal planner in 2005. The company now employs a dozen people who provide a full complement of land use planning services, typically representing more than one hundred projects at any given time. SEPPS has managed the approval process for many residential projects, ranging from small additions to large estates, as well as a number of local landmark projects including Santa Barbara Cottage Hospital, the Music Academy of the West, Westmont College, the Santa Barbara Historic Museum, the Four Seasons Biltmore and Coral Casino, San Ysidro Ranch, and Marymount School. SEPPS specializes in representing projects within all Santa Barbara County jurisdictions. Great care is given to the selection of projects undertaken and the company prides itself in making a positive contribution to the community’s built environment as it carries out its work. In leading the company’s approach to projects, Suzanne and Laurel apply a creative and respectful approach to the local public review process. SEPPS’ talented staff has earned a reputation for upholding the community’s planning objectives while also achieving its client’s goals. Many SEPPS projects require significant community interaction, including coordination of public workshops and neighborhood meetings, a process SEPPS embraces. 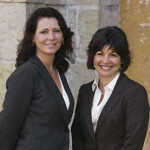 Both Elledge and Perez have resided in Santa Barbara for more than twenty-five years, having graduated from the University of California at Santa Barbara. SEPPS is deeply committed to the South Coast, the high quality of life it offers, and to taking a balanced, respectful approach to its planned growth. Protecting Santa Barbara’s unique environment requires thinking progressively about its future. The SEPPS team looks forward to this challenge as it continues its active role in local land use matters.